As one of the nation’s leaders in shaping a vision to make ... See More aging in place possible, Louis shares new ideas and initiatives aimed at making home modifications more affordable and easier to accomplish. 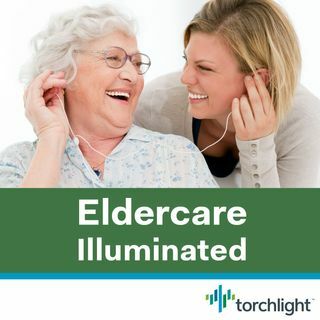 This episode explores emerging and proposed solutions as well as some low-cost ways to start to improve a home for its older residents. Louis Tenenbaum was one of the first contractors to focus his remodeling business on aging in place. More than 80% of adults say they want to stay in their own homes as they grow old, but their homes are not prepared for their new needs. He wondered why so few people were making home modifications, since it’s such a good idea. That led to the creation of Louis’s visionary white paper, Aging in Place 2.0: Rethinking Solutions to the Home Care Challenge, published by the MetLife Mature Market Institute. A leading authority on Aging in Place, Louis’s work straddles the building, aging, and policy worlds. In 2016 Louis was named a Next Avenue “Influencer in Aging” and won a HIVE (Housing, Innovation, Vision and Economics) award from the building industry. He founded HomesRenewed™ recognizing that spreading the word, and working with stakeholders to create subsidies and incentives would be critical to market development.